KCR's focus on agriculture and support schemes for farmers, consolidated his support base all over Telangana, especially in rural areas. KCR's move to dissolve the assembly eight months before schedule has worked. 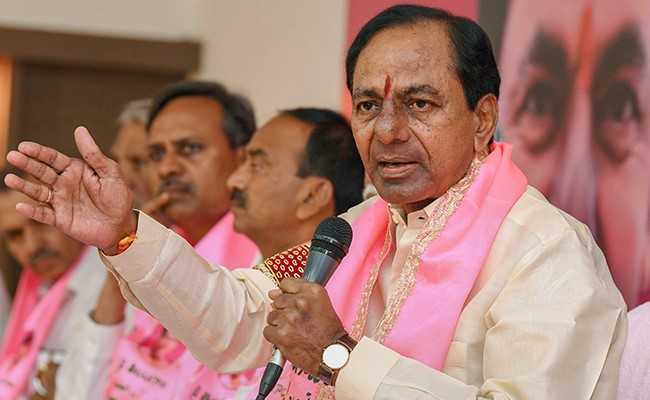 A slew of populist schemes like 'Raithu Bandhu' investment support scheme for farmers and social security pensions paid handsome dividends to Telangana Rashtra Samithi chief K Chandrasekhar Rao, whose party led in more than 85 of the state's 119 seats. Mr Rao's focus on agriculture, rolling out the 'Ryuthu Bandu' investment support scheme that gave tillers Rs 8,000 per annum for every acre and a Rs 5 lakh insurance cover for farmers, consolidated his support base all over the state, especially in rural areas. Ensuring 24 hour power supply for farmers and construction of double bedroom houses for the poor also proved to be a huge hit. TRS leaders said the government's focus on development and welfare schemes led to the party's huge victory. "This was expected because the people have accepted the (welfare) schemes (initiated by the Government)...the infrastructure that has been built....24-hour power supply and timely pensions," TRS leader AP Jithender Reddy told news agency PTI. "The entire election was fought on Telangana sentiments again. He (KCR) made the election between him and Chandrababu Naidu", a TRS leader said, claiming that the Congress joining forces with TDP was "political suicide". "KCR was able to project this election also as if the future of Telangana was at stake", a Congress, the principal challenger to the TRS in the state, said. "He was able to play the sentiment card because of the 'unholy' alliance between the Congress and the TDP", he added. During campaigning, KCR had repeatedly attacked TDP chief and Andhra Pradesh Chief Minister N Chandrababu Naidu, describing him as "anti-Telangana".